When I was younger, back when I could remember things and bend my wrists without flinching, I believed that my favorite time of year was Fall. All these years later it’s still my favorite season. Except that now, so are Spring, Summer and Winter. Fall smells better than any of them. In your face, Spring. Those dead leaves tended by the crisp air make the smell of Fall unbeatable…not even by Summer hay fields or Spring flowers. But it’s two harvests that make me love Fall most; the leaves, and the wood. I got a good start on my fall leaf collection today. 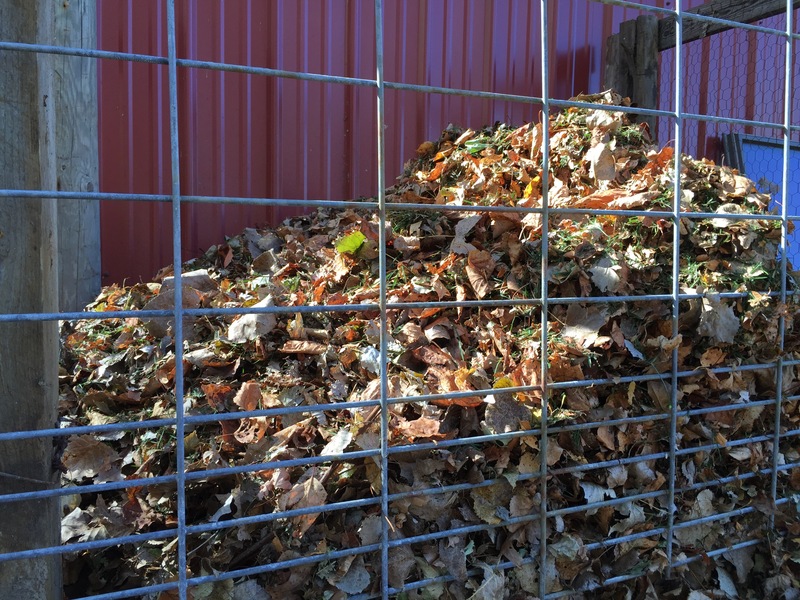 Fired up the mower and made piles of shredded leaves, mixed with some of those nice green grass clippings, for a little head start on the composting process. 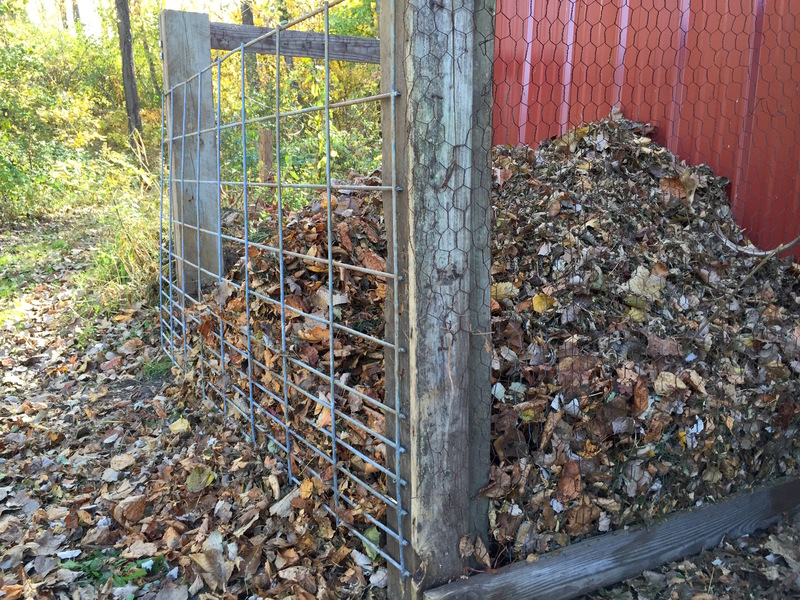 I emptied out the chicken run’s shredded leaf floor (it only took a couple of weeks for the girls to really demolish them), and started filling next year’s Spring compost bins with that material. Then it was time to refresh the girls’ run with un-shredded leaves and start filling my newly built leaf bin. The other harvest, free for the taking: trees that have died or blown down in the woods over the Spring and Summer. 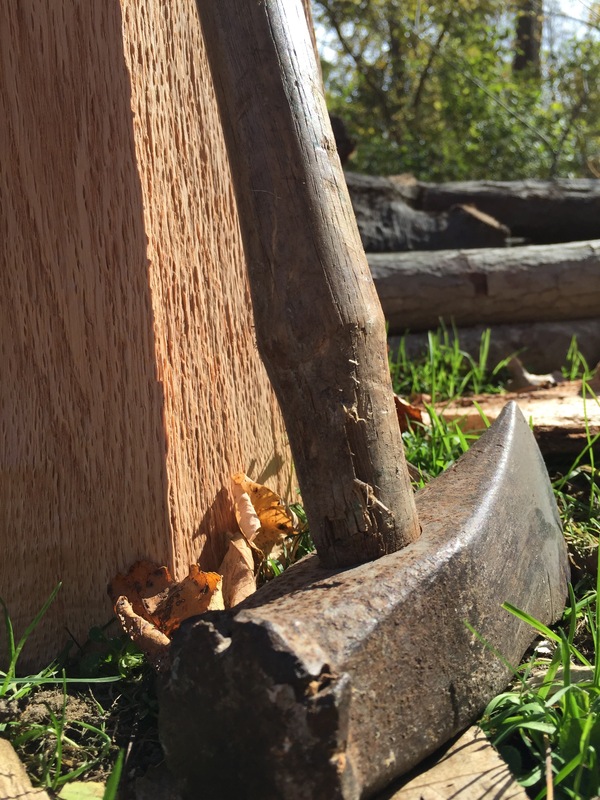 It’s probably the most satisfying of all outdoor chores; materials are free, just add muscle. There’s really nothing that can compare with just-finished rows of split wood stacked in the barn. Hard to explain. You can sense all the warmth that’s waiting to be released when it’s most needed. 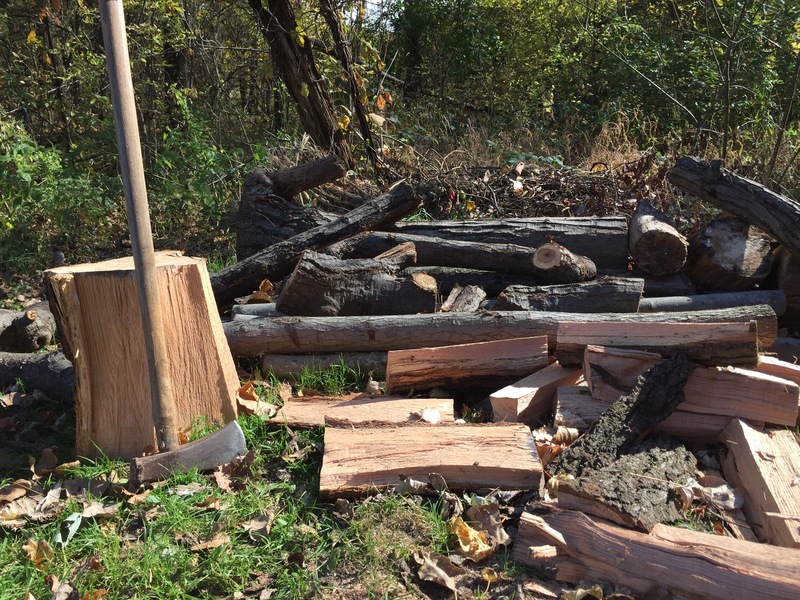 This entry was posted in firewood, leaves and tagged fall leaves, firewood. Bookmark the permalink. I probably should get a new one. It’s like an old friend. Fabulous post Dan! I read them all! Thank you. Keep them coming. I must get around to posting a fabulous autumn picture taken on autumn trees as the sun was going down. Here in the UK if we have a wet autumn the leaves turn and fall quickly, but this year we have had a long dry spell and leaves are holding on to the trees in full coloured splendour and lying crisp in heaps on the ground. Beautiful nature. That’s nice of you to say Roz, I’d love to see that picture! Gotta love those cool temps and crisp air Julie!